The day arrived. This is it. Machu Picchu! It deserves all of the accolades, superlatives and must-see lists. Everything I sit to type sounds cliche. 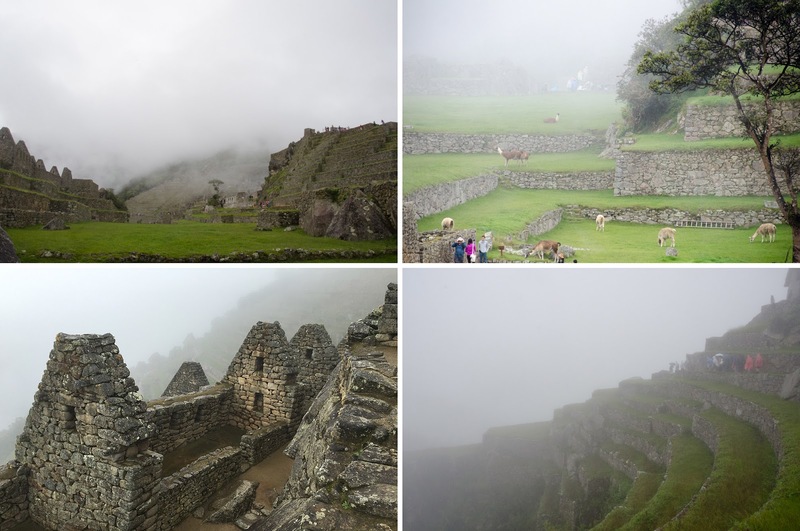 Machu Picchu was awe-inspiring and looks just like the pictures. Seeing it in person is even better. Towering ruins above the valleys, llamas acting as natural lawnmowers. It's really fantastic. As we walked up to the edge, the anticipation was electric. To see something that you have been anxiously dreaming and anticipating is a feeling that I can't describe. 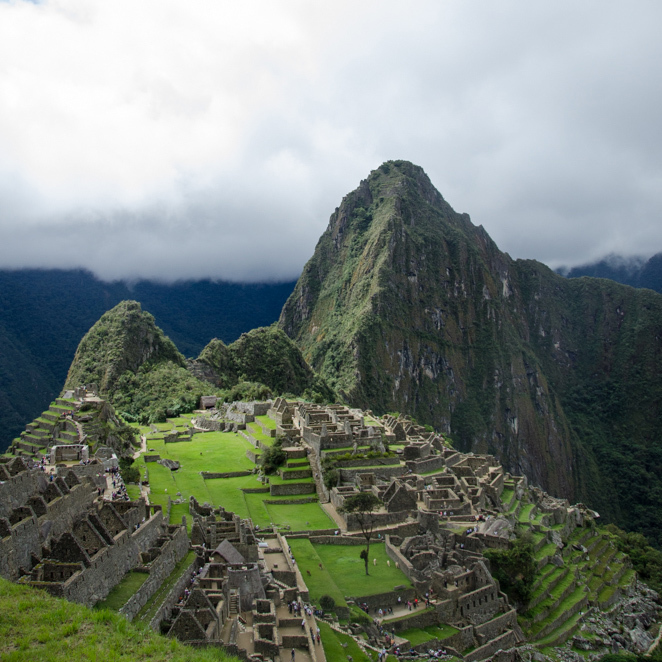 Our experience was pretty standard, yet even the standard experience at Machu Picchu is spectacular. We, along with a couple hundred other travelers, lined up in Aguas Calientes to take a bus to the entrance of Machu Picchu. After purchasing our tickets (and stamping our passports!) we walked in and the first view you get of the ruins is the picture above. The day started out misty, moody and rainy. Normally, soggy days aren't my thing, but oh, that fog made it magical. The beginning of the year is rainy season in Peru so we brought waterproof hiking shoes, pants (lovingly called adventure pants) and jackets. It is amazing how not being soaked improved our experience. A poncho seriously wouldn't cut it. The "Lost City of the Inca" was "discovered" in 1911 by the American explorer Hiram Bingham, although locals knew about its existence. I read Turn Right at Machu Picchu and I highly recommend it as trip research. It was fascinating to learn about how Bingham rediscovered the site. When we visited we were able to explore the ruins however we wanted, respectfully of course. There are not really any signs explaining what you are seeing so get a guide book or a map at the entrance if you want to know what is happening. 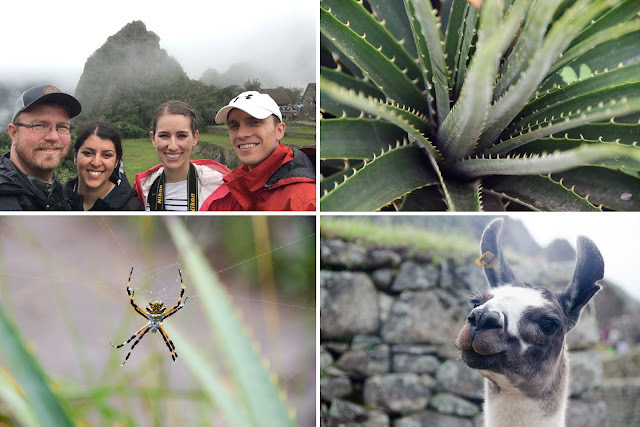 We spent a few hours exploring the main ruins before hiking Huayna Picchu, the tall mountain towering in the back of all of the main pictures. 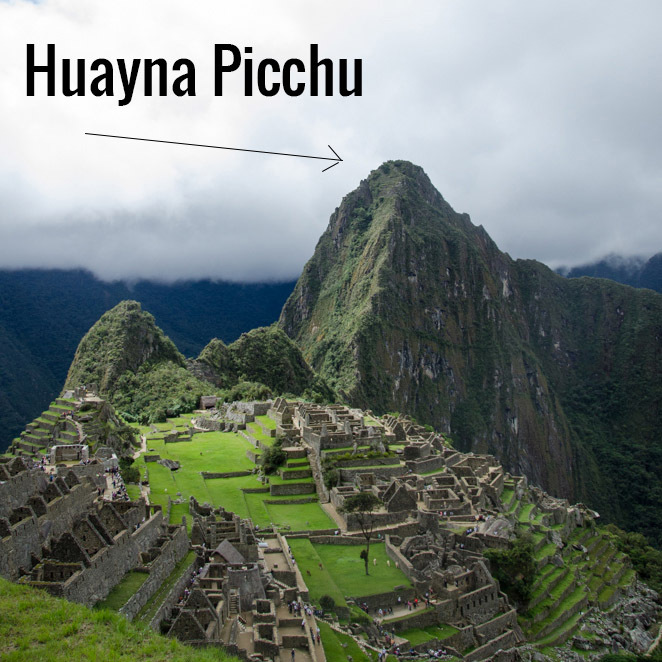 Huayna Picchu is limited to 400 hikers each day- tickets must be purchased well in advance to secure a spot. The trek to the summit is pretty intense. 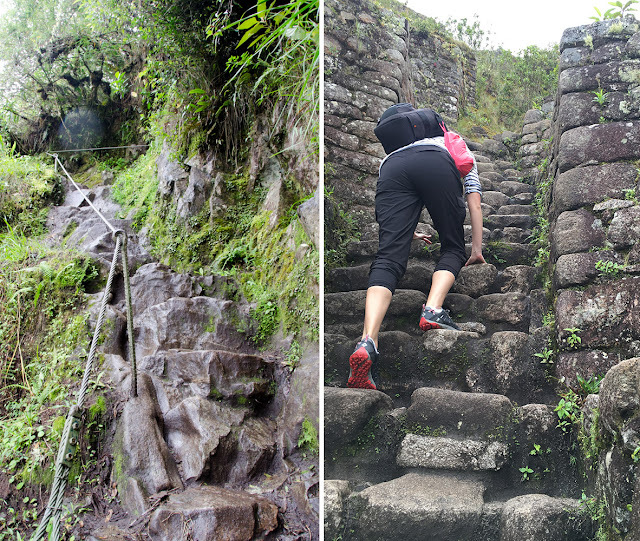 You have to navigate steep, narrow steps that were carved into the mountain by the Incas. The entire hike was foggy and rainy, but as we reached the summit the fog dissipated and we could see the entire valley. 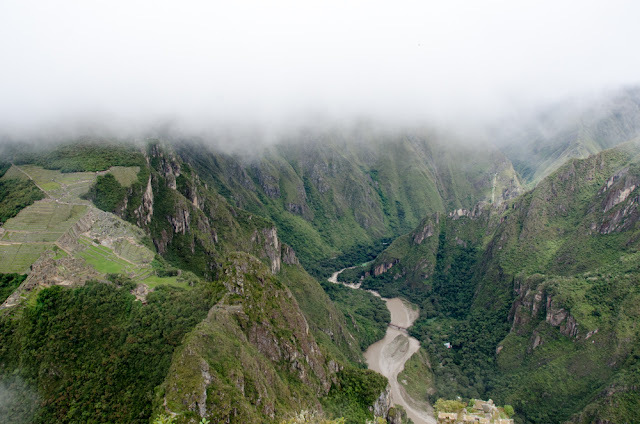 The switchbacks you see in the middle of the photo is the road that leads from Aguas Calientes to the entrance to Machu Picchu. The descent is just as arduous as the ascent. If you can, bring a walking stick! Wandering back through the ruins to the entrance, I was in awe. And exhausted. It was hard to walk out of the complex and turn your back on this view. If I could walk backwards I would have. This was a truly, truly magical day.